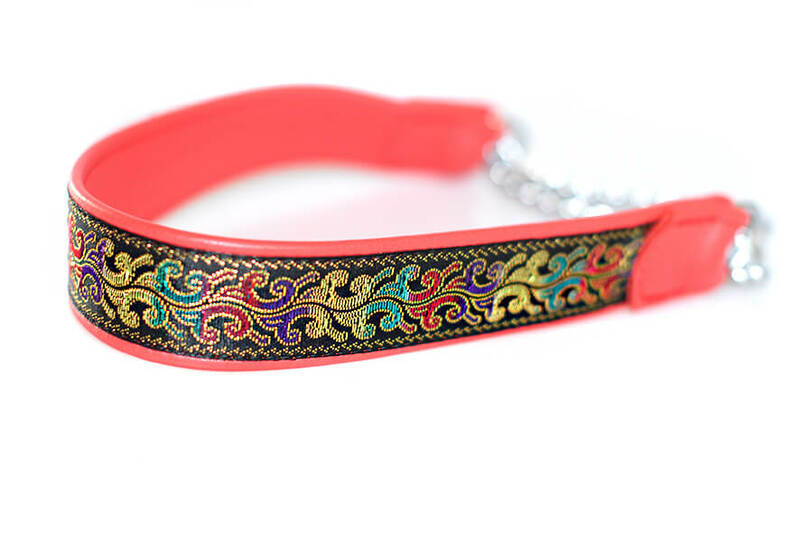 Size L to fit 40 cm neck, 2 - 3 cm wide. 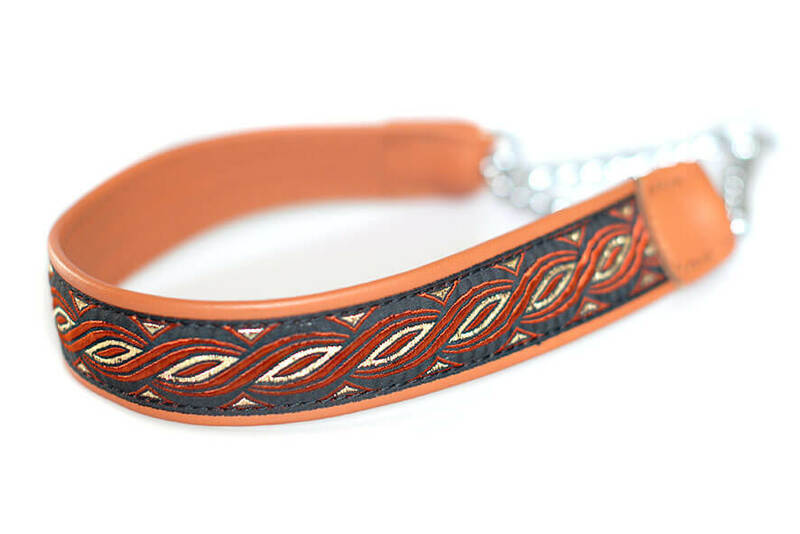 Available in black, blue brown, red, tan and white leather. 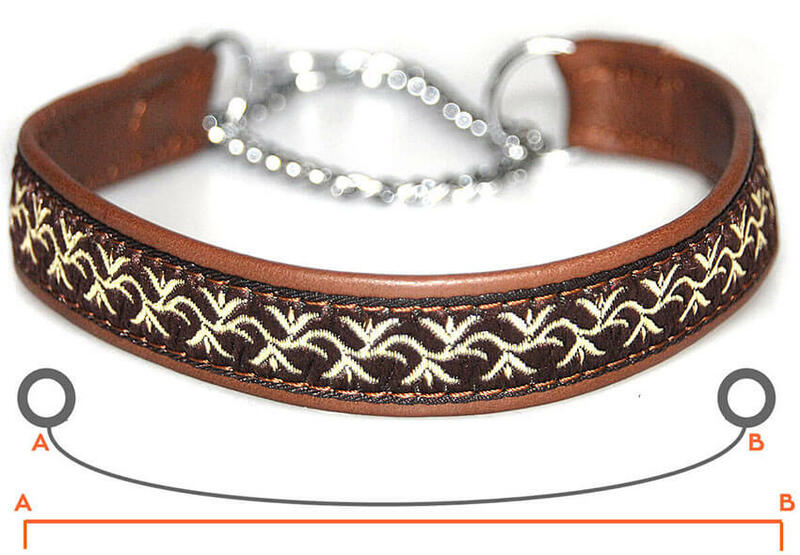 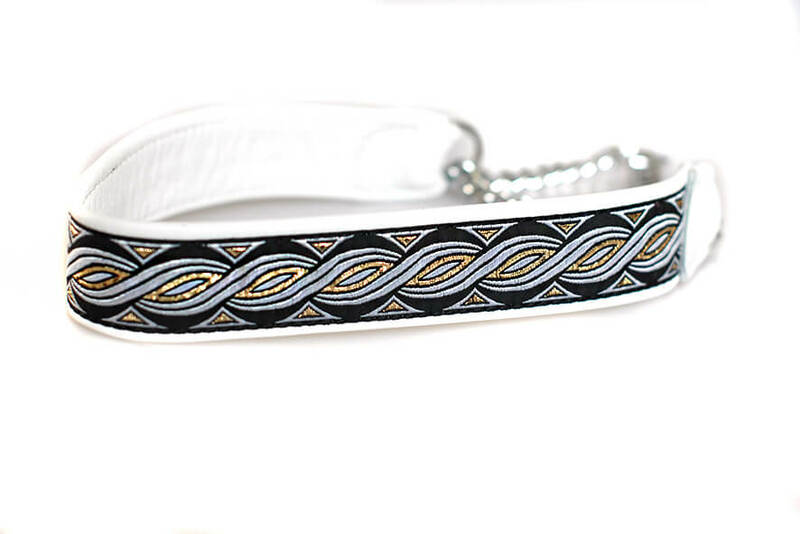 Great first puppy collar, will suit most Greyhounds, Afghan hounds, larger Salukis and similar sighthound breeds. 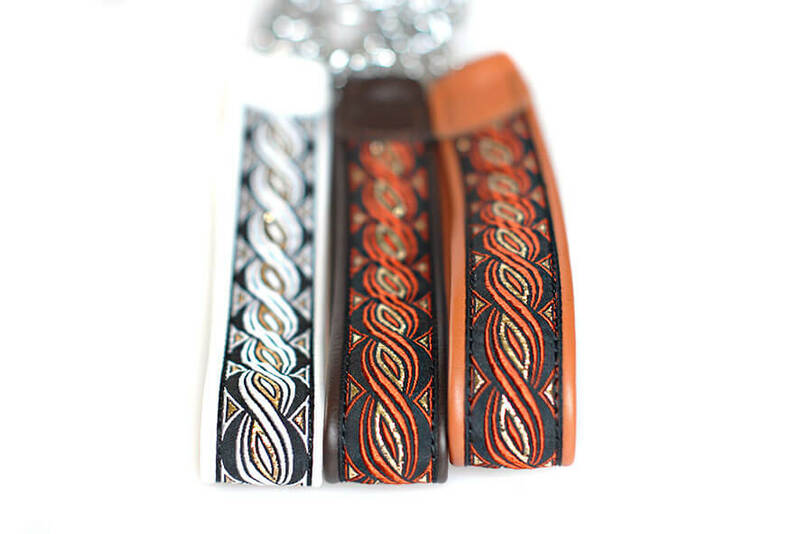 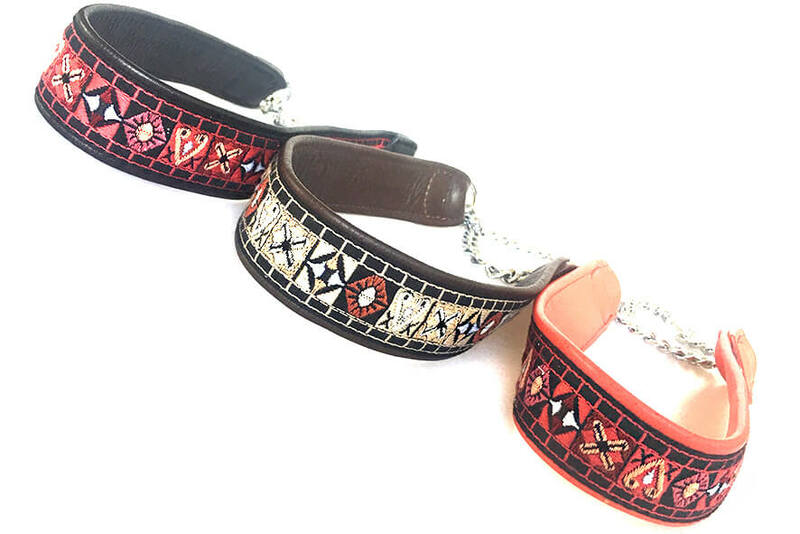 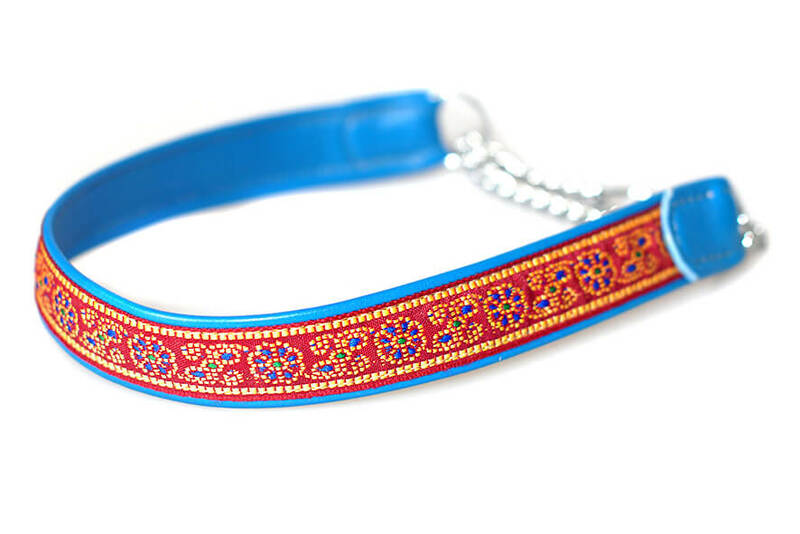 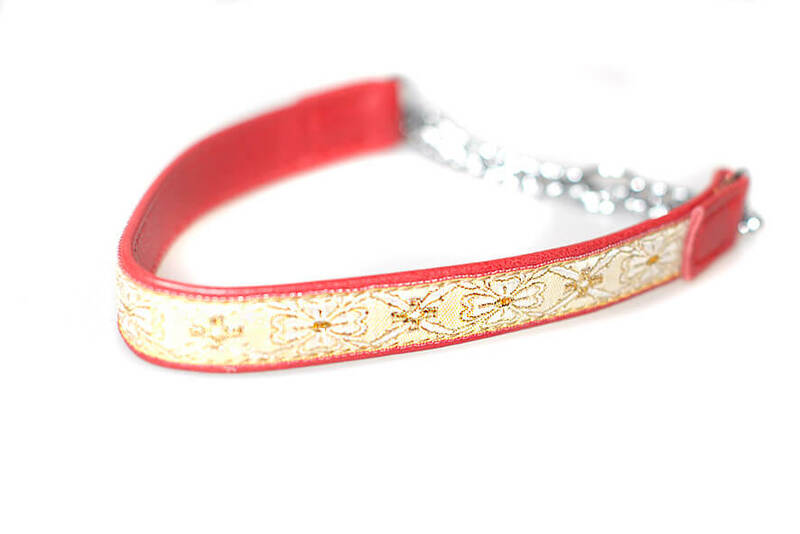 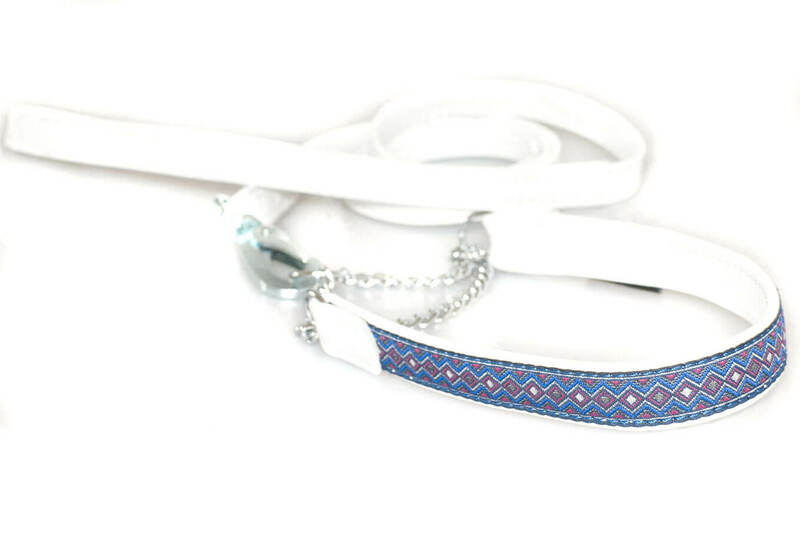 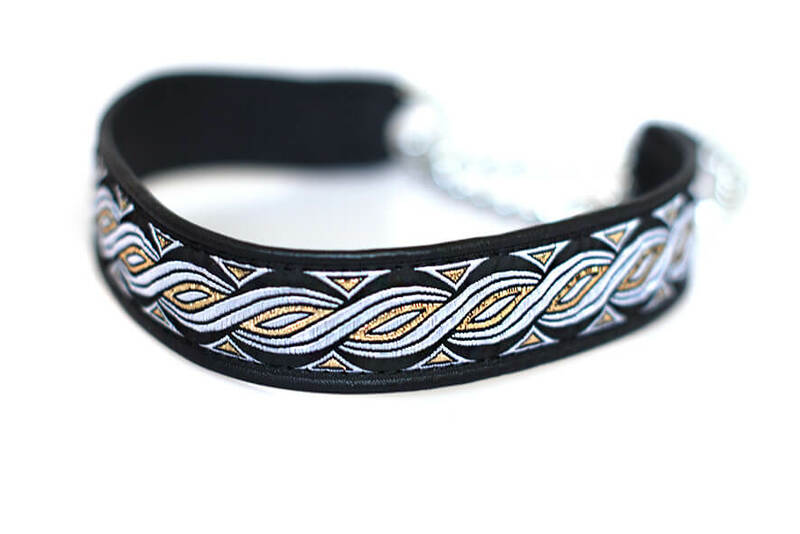 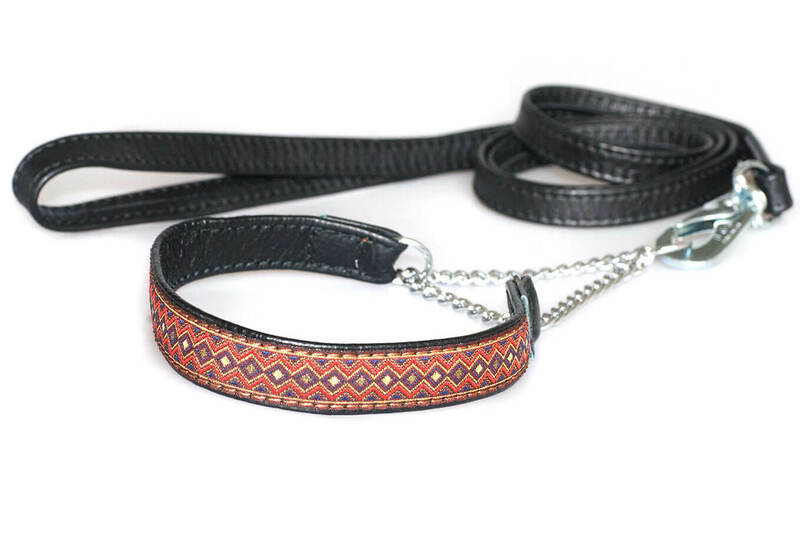 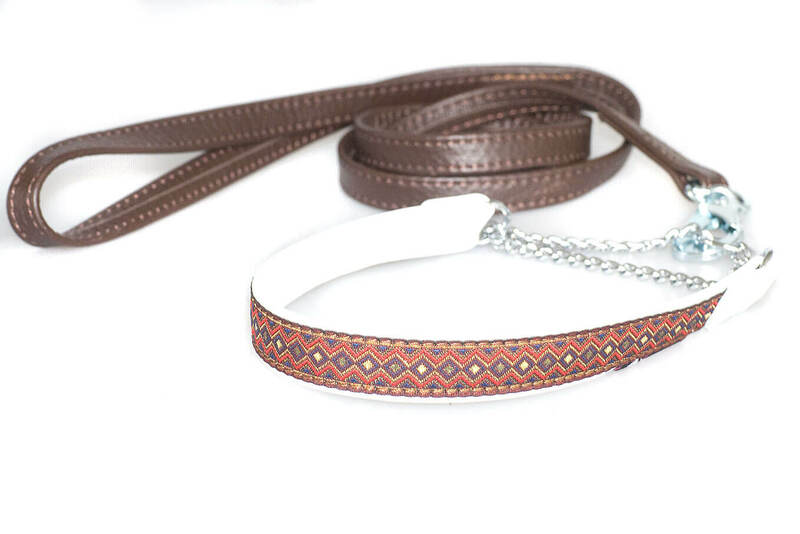 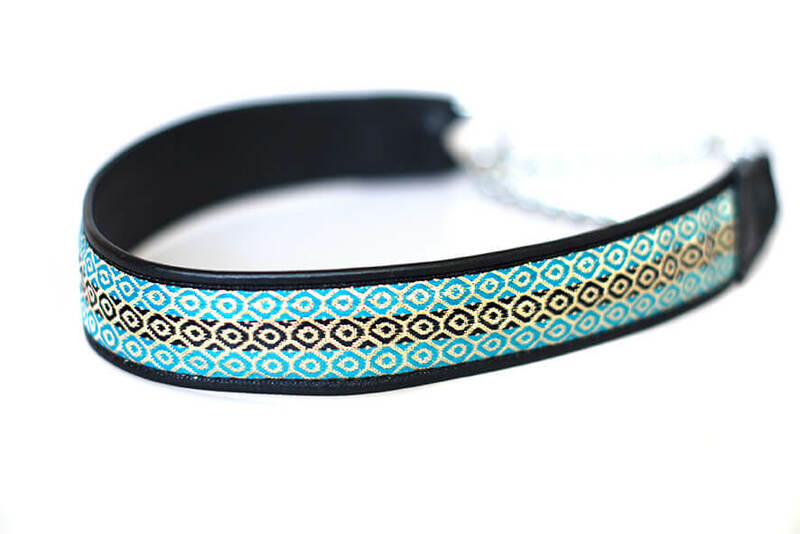 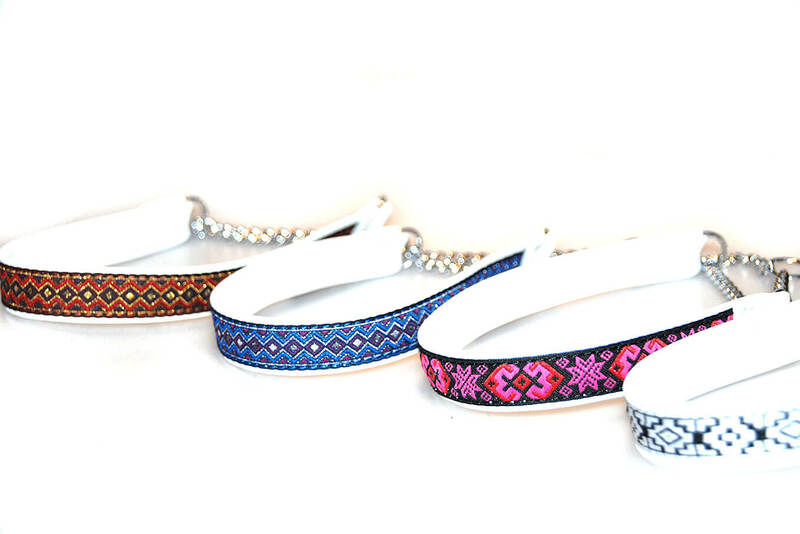 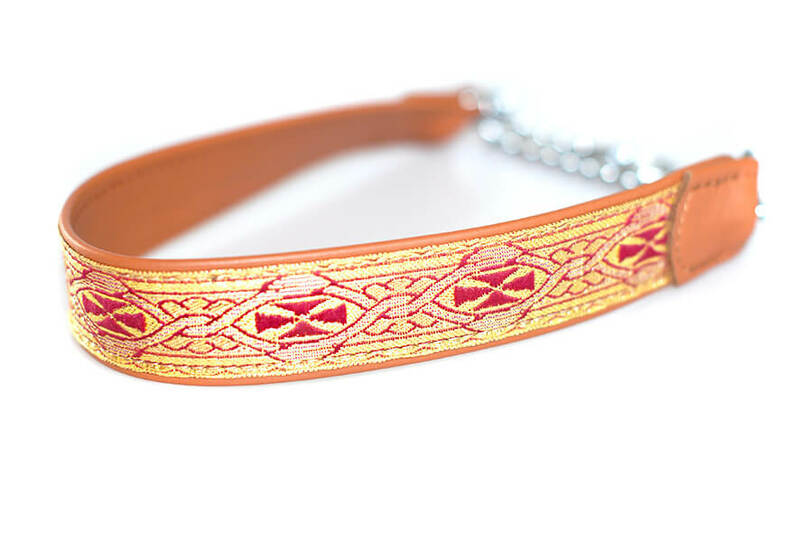 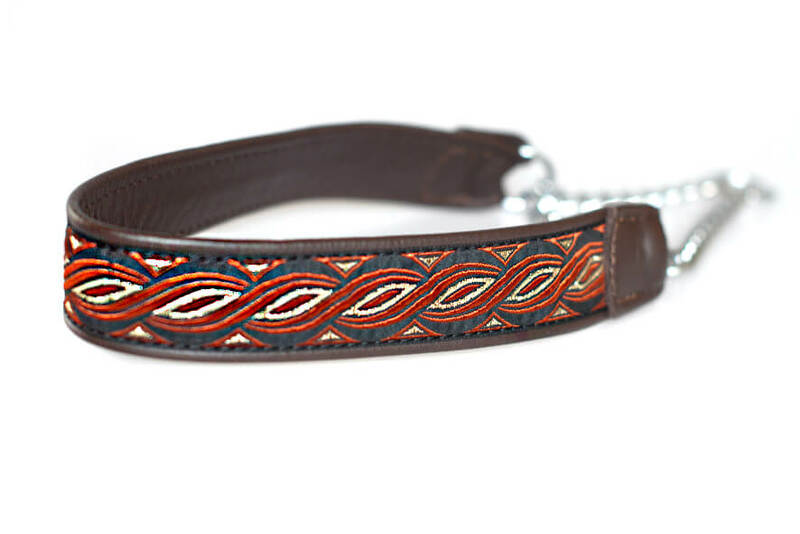 To complete the look of these leather ribbon collars we stock matching double stitched soft nappa leather dog leads in 1 m and 1.5 m lengths (13 mm wide).